If you’re seeking an innovative approach to pool design and construction, look no further than Master Pools of Austin. We believe that swimming pools should be personal to the user, heightening the enjoyment and bliss they bring. With years of experience under our belt, and over 50,000 swimming pool installations to our name, our team have the experience to tailor-make an outdoor haven that complements your home or business. Serving Buda and beyond, we bring our expertise to every backyard. As well as residential projects, we also tackle large-scale commercial endeavours for hotels, spas, resorts and water parks. No matter how ambitious or quirky your plans, we have the technical know-how and creative flair to realize any dream. 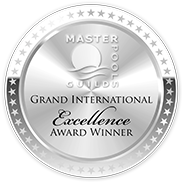 As part of the prestigious Master Pools Guild, our team are recognized for their commitment to customer care and superior standards of quality. This means that whatever style or size of pool you desire, we will deliver: indoor/outdoor swimming pools, above ground swimming pools, Lautner edge pools, geometric, freeform, hot tubs, spas, outdoor kitchens, and complementary accessories. Chat to our advisers about your upcoming plans – we’re happy to talk through your ideas – or arrange a free consultation at your location in Buda, Texas.